In 1978 David Wabeladio Payi created a writing system he dubbed “Mandombe.” He ascertained that the script was revealed to him in a dream where he saw two figures formed by mortar joints on his wall. The mirror figures he saw on the joints looked like the digital numbers 2 and 5 found in some electronic devices. This was the beginning of the existence of the script. Payi was born on January 15, 1957 in the Bas-Congo province, in the Democratic Republic of the Congo (also known as Congo-Kinshasa), and passed away on April 4, 2013 in Turkey. The word “Mandombe” means “that which is Black” in the Kongo or Kikongo language, which is a Bantu language widely spoken in the Republic of the Congo, the Democratic Republic of the Congo, Angola, and other Central African nations. The Mandombe script can, in fact, be used to transcribe languages such as Kikongo, Lingala, Swahili and Tshiluba, as well as several other Bantu languages in West, Central, East, and Southern Africa. The script is read from left to right, but can also be read from top to bottom, thus making the most advanced African script available on the continent South of the Sahara. In 1982, Payi received patent No. 2505/82 for his writing system from the Ministry of Industry and Trade of the then Republic of Zaïre (now Democratic Republic of the Congo or DRC). In 1994, however, his writing system was officially presented to the general public. In 2010, the Unicode Consortium received a submission for a preliminary proposal (N3970) containing information about the Mandombe writing system for inclusion in Unicode Standard (ISO 10646). The Unicode Consortium enables people around the world to use computers in any language. In 2016, a revised Unicode proposal was written by computer programmers familiar with Mandombe. There now exists Nzitani (formerly Lundombe) an operating system conceived entirely in Mandombe script which allows a computer user to utilize software to write and compute in Mandombe electronically. 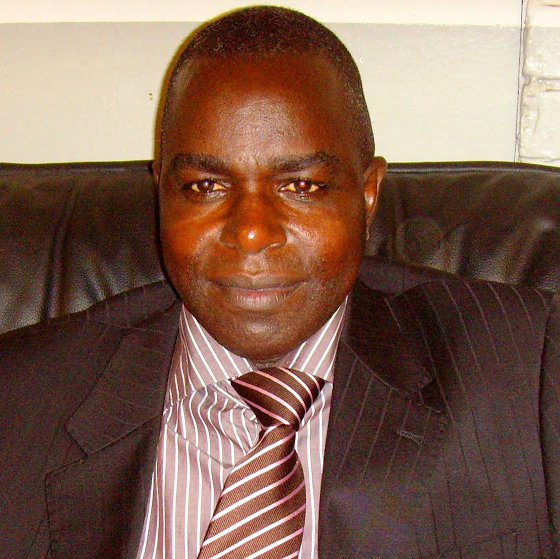 On December 22, 2011, David Wabeladio Payi was granted the honorary title Doctor Honoris Causa, at the University of Kinshasa in Kinshasa, the capital of the Democratic Republic of the Congo for his work in developing Mandombe. Until the time of his death, Payi was teaching the Mandombe script to thousands of people, not only at the University of Kinshasa, but also in Brazzaville, the capital of Congo-Brazzaville as well as other overseas centers including Brussels (Belgium) and Paris (France). Payi passed away at the age of 56 in Turkey where he had gone for medical care. He was married to Eugenie Dikembi Dinueni with whom he had five daughters. Payi left behind Mandombe, his script that is a powerful tool which could contribute in promoting a stronger educational system among the African people of Bantu origin and provide a way to bring computer technology and scientific skills in general to millions in Africa and around the world. "Mandombe," Helma Pasch (University of Cologne), October 8, 2017, http://www.afrikanistik-aegyptologie-online.de/archiv/2010/2724/; “David Wabeladio Payi” Kumatoo, January 2017, https://kumatoo.com/wabeladio_payi.html. “Mandombe,” Helma Pasch (University of Cologne), October 8, 2017, http://www.afrikanistik-aegyptologie-online.de/archiv/2010/2724/; “David Wabeladio Payi” Kumatoo, January 2017, https://kumatoo.com/wabeladio_payi.html.